All-Star Asphalt and Sealcoating, Inc. Comment: Need to remove existing stone and concrete in driveway. Replace with asphalt. Comment: 1358 S Krocks Road Allentown PA 18106 There are many cracks in our driveway and we are looking into the possibility of it having a topcoat put on to repair them. Starting to get estimates. We have always put a sealcoat on every other year for preventative maintenance but I am more concerned about how much it has sunken in right before the entrance to our garage then some of the cracks. Depending on price we may decide to just do a top coat on the entire thing. Comment: I would like to get an estimate for sealing my drivway and adding a burm at the top of my driveway. Comment: I would like to get an estimate for one car driveway. I would like a recommendation for concrete or asphalt. Comment: I would like to get an estimate for paving done, need it redone and add to it with a parking pad. Allentown Paving Contractors are rated 4.63 out of 5 based on 407 reviews of 12 pros. 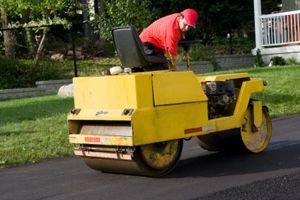 Not Looking for Paving Contractors in Allentown, PA?